“Autonomy” could be Rhode Island’s middle name. It was the first U.S. colony to declare independence from Great Britain, and the last to cooperate with the other 12 original colonies in the ratification of the Declaration of Independence. In a state as strong as Rhode Island, it makes sense that choosing solar panels over grid power would be a popular and easily accessible option. 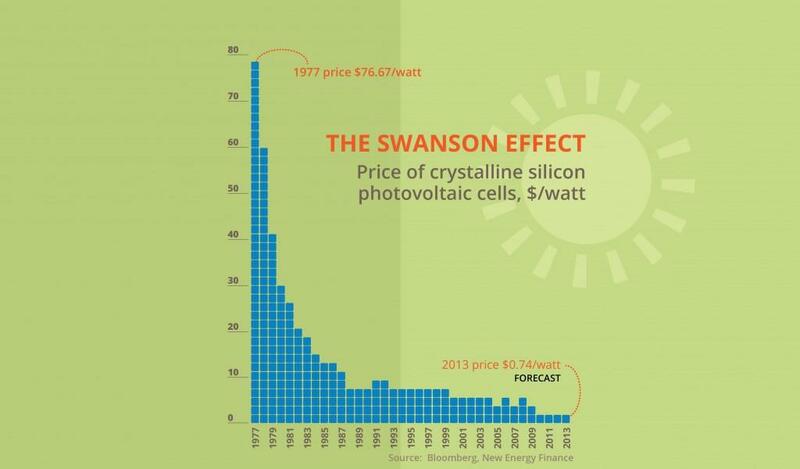 Refer to the Swanson Effect graph above, which shows the drop in per-watt prices of solar panels since 1977. As you can see, the decreases have been massive, making solar accessible to today’s average homeowner rather than just the upper middle class and above. 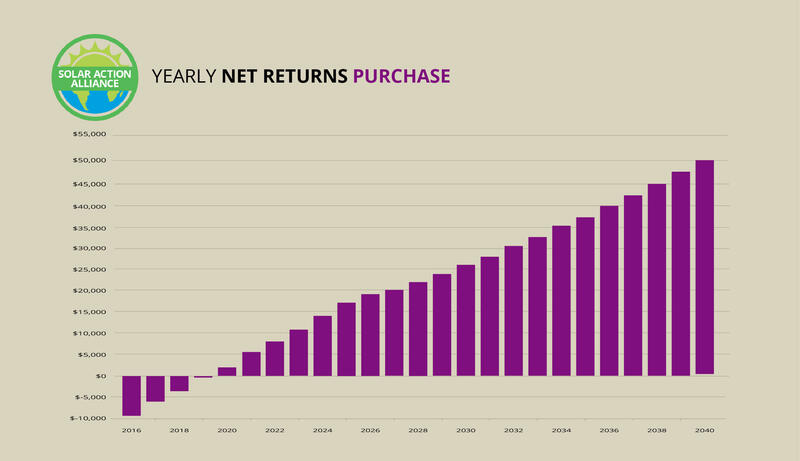 Over the next several years, technological innovations will reduce prices even further. Solar installations are more expensive in Rhode Island than most other states, which lengthens the payback times for each method. However, Rhode Island’s high electricity costs mean you’ll save more annually than other places, which means the return on the outright purchase is a few thousand dollars higher than most other states. 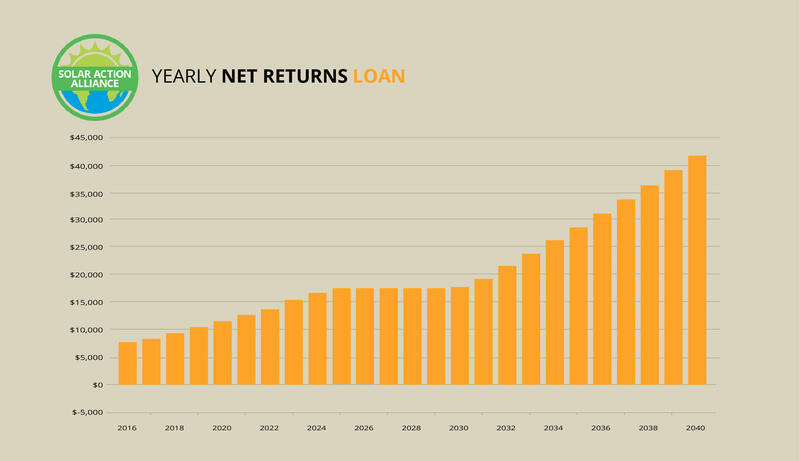 Because of interest, the returns for HELOC loan acquired systems is a bit lower, as interest is a percentage of the loan. This is more a reflection of the higher cost-of-living in Rhode Island than any anomalies involved with the prices of solar panels. As mentioned, solar panels cost considerably more in this state than in most others: about $25,000. Fortunately, such a large outlay of funds, you’ll get a tax credit of 30% from the federal government, which takes off $7,500 from that price and brings it to a more reasonable $17,500. The first year and each year thereafter, you’ll see a considerable difference in your electricity bill, somewhere in the neighborhood of $1,000. That’s because grid electricity in Rhode Island is relatively costly. 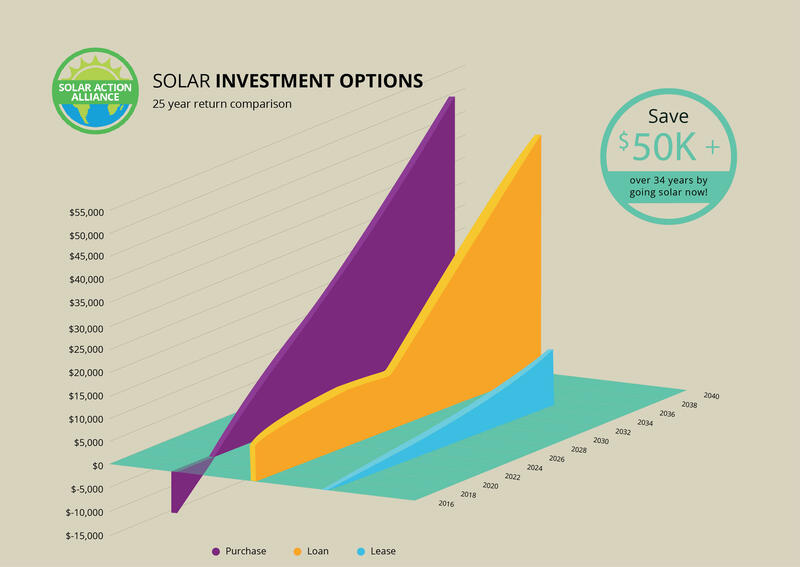 Over time, your savings will continue to rise, leaving you with almost $19,000 at the end of 25 years, enough to purchase a whole new solar panel system! Those with enough home equity to qualify for a HELOC loan may find this route is the most logical choice, since the upfront cost of purchasing may be too high even with rebates. A $25,000 loan could have payments that exceed $2,000 per year, but you’ll rely on the annual savings on electricity to cut that number in half. Under normal rates, it will take about 17 years to pay off the loan, leaving you with 8-9 years where the savings are all returns. Based on the expected savings this adds up to a good $7-9,000 in returns, a tidy sum for an investment that cost zero down. You may not have enough home equity to get a line of credit that covers the installation of a large system. If that’s the case, you may be able to take out a lesser loan for a smaller Rhode Island solar power system. 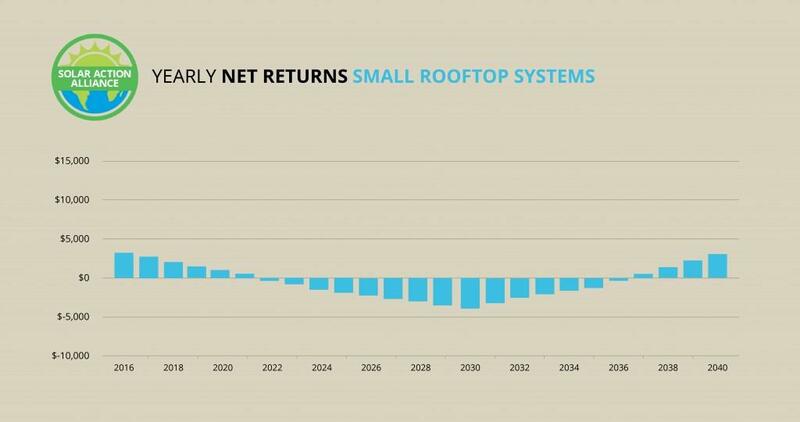 When you spend several thousand dollars on a small rooftop system, the 30 percent tax credit goes to you, so you’ll start out ahead of the curve. Over the next 15 years, the loan payments will likely exceed the savings by about $1,000 per year. For the last 10 years, you’ll start saving money and recoup what you’ve spent. You might not make a lot of cash by going for a small solar panel system in Rhode Island, but you’ll be helping the environment and taking a step toward greater independence from non-renewables. 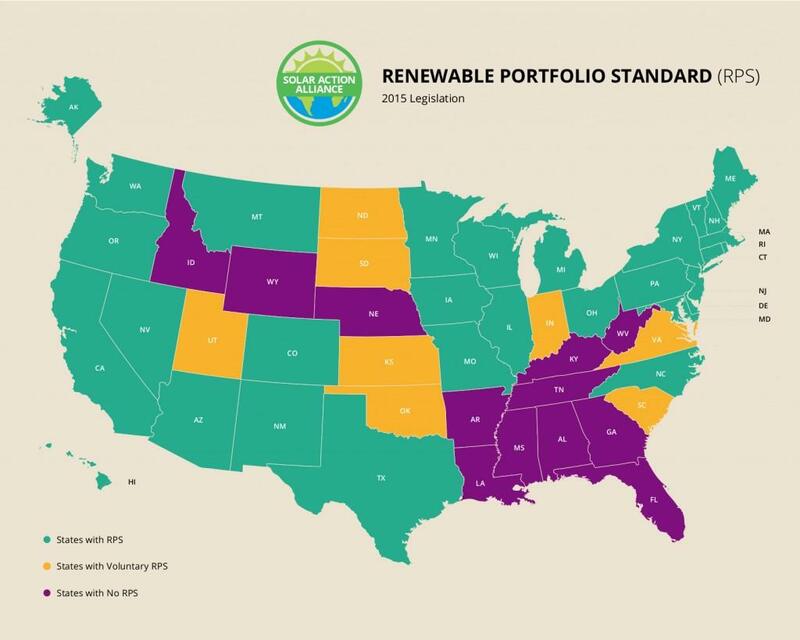 Most states have a renewable portfolio standard (RPS) in place to govern the partial conversion to renewable sources of energy. Aside from solar, other clean energy sources include wind, biomass fuels, and landfill gas. Such a conversion is normally implemented in stages with specified deadlines for specified increases in the percentage of renewable energy. In Rhode Island, the RPS mandates that utilities must draw at least 14.5% of their power from such sources by 2019. As of 2015, utility companies were already at 8.5% by law. The short turnaround is about the normal expected deadline for a renewable portfolio standard, and the percentage is about average. Unlike many other states, however, Rhode Island does not specify a carve-out for solar panel power. That is, companies do not necessarily have to use solar power at all to make up their 14.5%. Rhode Island could improve its solar status easily by bumping up its total RPS percentage and including some specific legislation about solar energy. 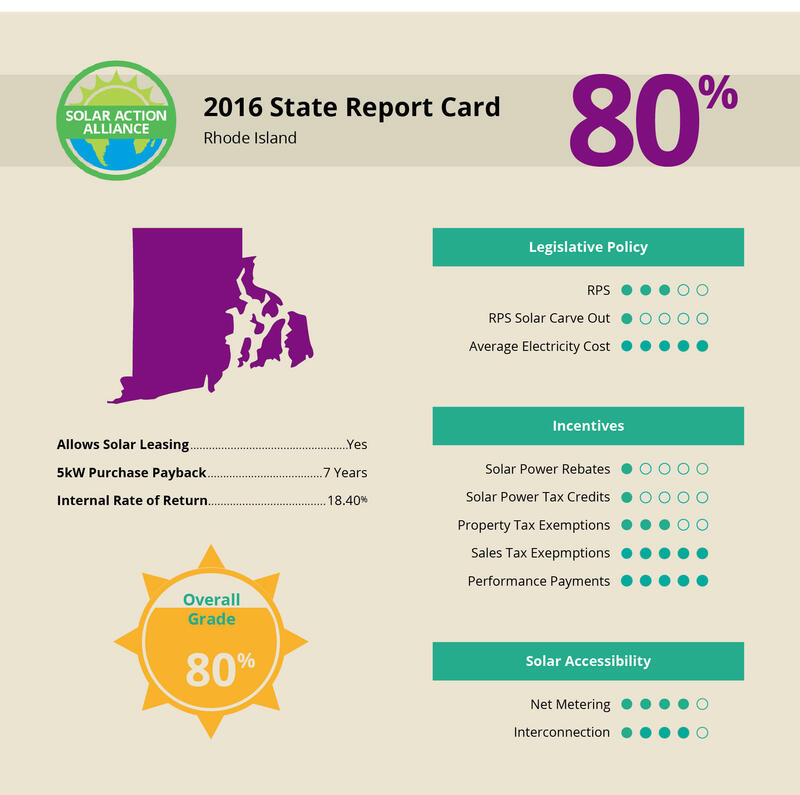 While its RPS could be stronger, Rhode Island ranks among the better states when it comes to other solar incentives. The state has a strong net metering program, decent interconnection standards, and solid performance payment incentives, as well a standardized property tax exemption and a 100% sales tax exemption. Also, the cost of electricity in Rhode Island is well above the national average—19 cents per kilowatt-hour compared to the average of 13—so the incentive to go renewable is even higher. As a result, Rhode Island ranks among the top 30% (15th) of the nation in solar readiness.